Parking info: Meridian street, the next one north of Newton, the Trinity Zion AME has a large parking lot on the north side of the street for FREE parking. This artistic collaboration between Colette Inez (1931-2018) and Composer Gina Biver began in 2017 and continued even after Ms. Inez’s passing, thanks to the kind assistance of her husband Saul Stadtmauer, until his death in August of 2018. Through Saul and the generosity of Jean-Jacques Dulong (Colette’s cousin), Gina was able to compose the music to Nimbus in the Dulong family estate—the river house in Nerac, France that Colette mentions in her memoir The Secret of M. Dulong (University of Wisconsin Press). 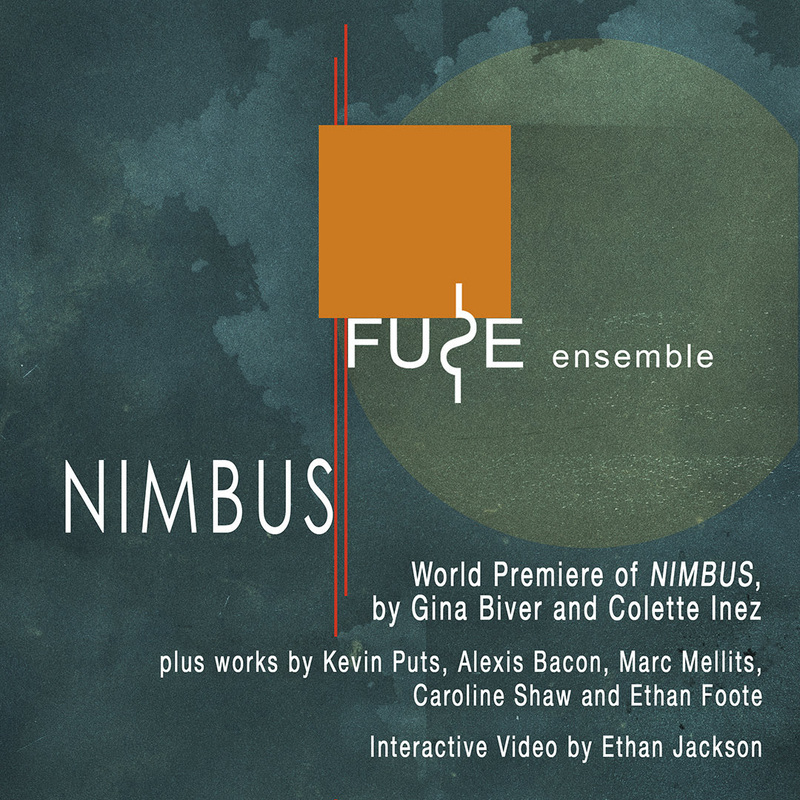 The concerts begin with works by composers Caroline Shaw, Alexis Bacon, Kevin Puts and a premiere of The Accusing Shadow by Fuse Ensemble bassist/composer Ethan Foote. Interactive video by artist Ethan Jackson.